Saxophonist Branford Marsalis has done duet recordings with just his father, pianist Ellis Marsalis, and fellow New Orleans native, crooner Harry Connick Jr. Here the tenor and soprano saxophonist takes up with Joey Calderazzo, the pianist of his quartet since 1998, for a session that is surprisingly sublime. You have to bloom where you’re planted. 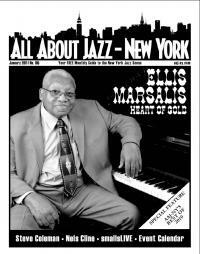 For Ellis Marsalis, pianist and patriarch of a musical dynasty, that meant blooming as a creative modern-jazz pianist in the traditional-jazz soil of New Orleans, where for a long time there wasn’t much demand for what he was putting down. Ellis is the star of Music Redeems, both as headliner and player. He has a light touch and equally light rhythm, filling a group arrangement of his original “Syndrome” with delicate dance figures, and a lyrical solo performance of “After” with the gait of a Broadway routine.